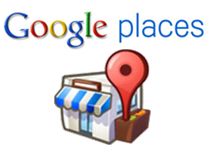 Local listings drive phone calls and business let us assist you get exposure in Google Plus local for your business. Trust and authority are key metrics to winning in Google search these days and G+ pushes those buttons. Google Places has been morphed into Google Plus / G+ to enable more social interaction, this is the way of the future on the web where word of mouth and reviews generate sales. Mobile use and the use of Maps grows steadily be seen be found! Leverage our expertise to win at this game today. There are other methods also; How to Link your Google+ profile to the content you create. Call us now for a quote and grow your new business enquiries now!